Photo credit: seotips2011 on flickr. Aside from private, “invitation only” virtual events, most other virtual events can benefit from the integration of social media channels. Integrating social media is a win/win because it increases and augments the degree of engagement within the event. And, it enables your attendees to promote the event on your behalf. Awareness extends to your attendees’ friends and followers. A few retweets and likes later, and the visibility of your event can increase to “near viral” proportions. 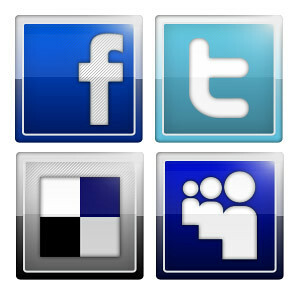 Social media integration should not be about slapping up Twitter and Facebook icons throughout the event. In this posting, I outline … READ the FULL POST on the Event Manager Blog. This entry was posted on Monday, May 9th, 2011 at 2:54 PM and is filed under Virtual Events. You can follow any responses to this entry through the RSS 2.0 feed. You can leave a response, or trackback from your own site.